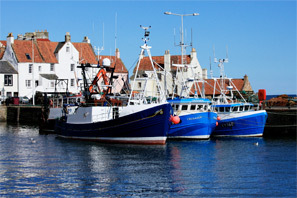 Welcome to the Fishermen’s Mutual Association (Pittenweem) Ltd website. 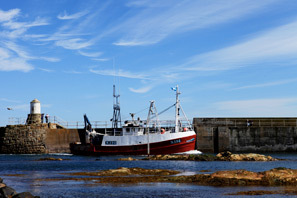 The co-operative for fishermen operating out of the East Neuk of Fife, on the Firth of Forth in Scotland. The F.M.A. 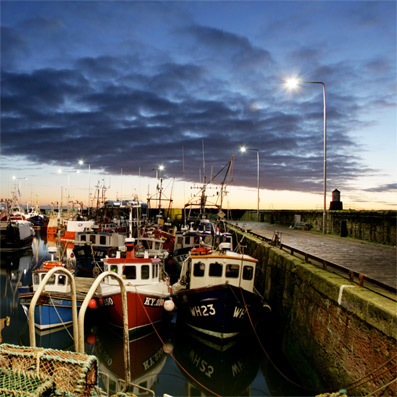 is based in the traditional fishing village of Pittenweem, where it maintains the infrastructure that supports the thriving, local fishing industry. 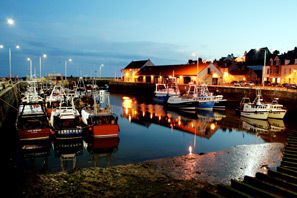 The Fishermen’s Mutual Association (Pittenweem) Ltd was formed in 1948 when a group of local fishermen got together and decided to form a Co-operative. The idea being that they united and sold their daily catch as a group instead of individuals. The FMA has gradually evolved over the years, becoming oil distributors by installing tanks on the pier, opening their own chandlery to supply gear and all fishing needs for the boats, gradually extending to the general public by settling clothing, homeware and various other products to attract both the locals and the tourists. The modern day FMA handles all shellfish caught by the fleet, trucking them mainly to the North East. 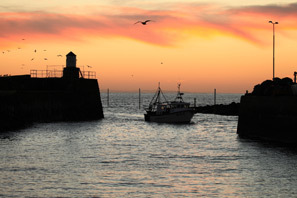 There are no whitefish landed in Pittenweem now, which when you consider the heydays of the 1970’s and 1980’s when 1000 boxes was a poor day, shows the complete turnaround of the local fishing fleet. Now there are boats catching langoustine, lobsters, crabs, scallops. All of which are available to the general public for collection at Pittenweem. Prices are available on request. The FMA currently have a few projects in the pipeline so keep watching this space and all will be revealed. If you are in the Fishermen’s Mutual Association please subscribe to our Newsletter using the link on this page and you’ll kept up to date on all of our latest developments instantly via email. Also, register for our Members Area where you will be able to read news posts and air your own views on developments within our industry and organisation.